“The movers and shakers read you, Andrew”. “Anyone interested in good reporting about what is happening in Nova Scotia might want to read the Macdonald Notebook, which is published on Saturdays”. “The Macdonald Notebook nails it, every edition, every time. Andrew you’re a great story teller and journalist of hard facts and informative well researched news. I am happy to continue to support and promote your great leading edge news and The Notebook. I look forward to your great coverage. Congrats”. “Keep up the good journalism work, very impressive”. “I am really enjoying your Macdonald Notebook. You have not only captured an audience of followers, but you also have the experience of years behind you to dig out your contacts. So keep up the interesting news items”. “The Macdonald Notebook provides the colour between the lines that allows news to become information. In a time when too many media organizations essentially reprint press releases, Andrew has personal conversations with the news makers. Not satisfied with simply the ‘what’, The Notebook goes further, to enlighten on the ‘why'”. “Your political coverage is awesome for political junkies like me. Good on you and kudos for excellence. You have a way of explaining things so that readers understand that those involved in partisan politics are human just like everyone else”. “Your well crafted journalism style is ‘down home – high quality’ reporting – concise, informative, diverse, historically accurate, objective, humorous and pleasantly intimate”. “Andrew, congratulations. I look forward to your new work . I am sure it will be of the highest quality and standard you have exhibited throughout your career. Journalism is becoming a dying art I am glad there are people like you who are keeping it alive”. “I have been reading Andrew’s stories for 17-years. I am always curious to see what he is going to write about and he is very curious himself but honest”. “He is passionate about journalism and above all he is trustworthy”. “We live in a very small, tight-knit community. Media has a big impact on our lives and it helps to talk to a journalist you can trust and that’s Andrew Macdonald. He is experienced, his stories are fair, balanced and very professional. That’s what good journalism is all about!!”. “I am really enjoying The Macdonald Notebook – when do you sleep? Lots of insight and depth to the pieces. Well done”. “I have subscribed to Andrew’s self owned publication since its inception a couple of years ago, it’s a great way for me to keep up on Maritime news”. “It has an eclectic mix of political, economic and general news articles, including a few fun gossipy bits here and there. I have been an occasional contributor, usually about U.S. political events”. “I find the publication especially interesting for some of the insights you won’t find in more traditional news sources, thanks to Andrew’s extensive network of movers and shakers“. “Andrew is a very fine writer, and has oodles of information on the local real estate scene. He is probably the most tapped in person in this part of the world”. 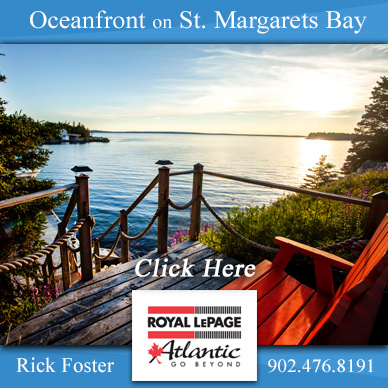 Victoria Hines, realtor, Royal LePage Atlantic. “Andrew, your newsletters keep getting better and better. Congratulations on carrying your energy for reporting to a platform of your own”. “I’m looking forward to diving into your archives! As well as your next edition”.